Boryspil Airport, is the main international airport of Ukraine, located near the town of the same name, about 29 kilometers east of the capital. It is one of the two airports that serve Kiev. 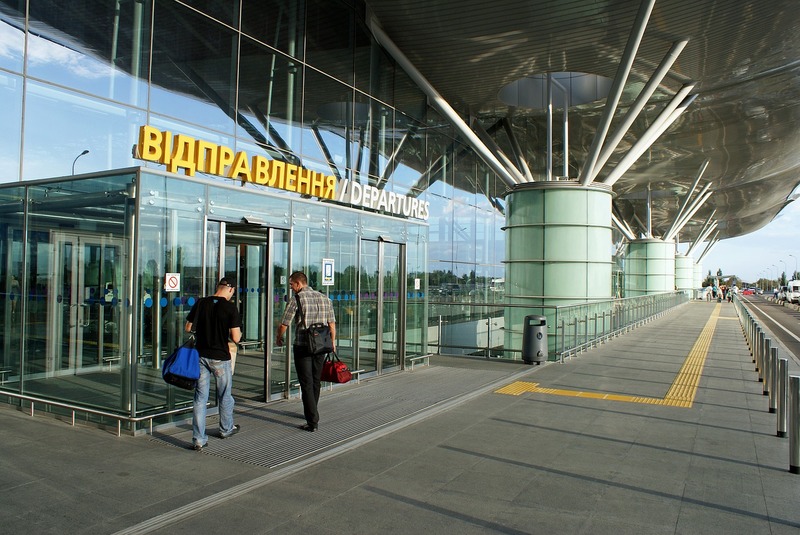 In Boryspil, more than 60% of passengers traveling to Ukraine transit. Numbers that testify to the importance of this port. Extremely modern and organized, it has 4 terminal, one of which is exclusively for VIP clients. Inside the Boryspil airport you will find numerous services. Bars, restaurants, shopping centers, smoking areas. The Wi-Fi line is available in all buildings. In Terminal D you will also find three areas dedicated to children with games and changing mats. Anda Air, seasonal charters: Sharm El Sheikh. Austrian Airlines: Vienna. Seasonal: Innsbruck. Azur Air Ukraine, seasonal: Antalya, Barcelona, ​​Bodrum, Dalaman, Enfidha, Hurghada, Izmir, Sharm El Sheikh. El Al: Tel Aviv-Ben Gurion. Ellinair: Thessaloniki. Seasonal: Corfu, Heraklion. Ryanair (from October 2018): Barcelona, ​​Bratislava, Krakow, Gdańsk, London-Stansted, Poznań, Stockholm-Skavsta, Vilnius, Warsaw-Modlin, Wrocław. Swiss International Air Lines: Zurich. 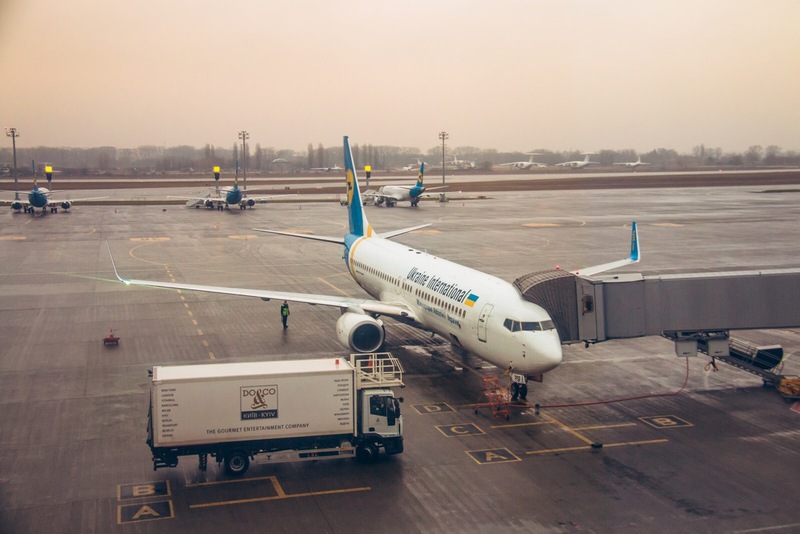 Ukraine International Airlines: Almaty, Amman-Queen Alia, Amsterdam, Ankara, Astana, Athens, Baku, Bangkok-Suvarnabhumi, Barcelona, ​​Beijing-Capital, Bergamo, Berlin-Tegel, Brussels, Budapest, Cairo, Chernivtsi, Chişinău, Colombo, Copenhagen, Krakow, Delhi , Dnipro, Dubai-International, Düsseldorf, Frankfurt, Geneva, Helsinki, Istanbul-Ataturk, Ivano-Frankivsk, Kharkiv, Kherson, Larnaca, London-Gatwick, Lviv, Madrid, Milan-Malpensa, Minsk, Monaco, New York-JFK, Odessa, Paris-CDG, Prague, Riga, Rome-Fiumicino, Stockholm-Arlanda, Tbilisi, Tehran-Imam Khomeini, Tel Aviv-Ben Gurion, Toronto-Pearson, Venice, Vienna, Voronezh, Vilnius, Warsaw-Chopin, Yerevan, Zaporizhia , Zurich. Seasonal: Antalya, Bodrum, Dalaman, Nice, Palma de Mallorca, Salzburg, Tenerife-South. Windrose Airlines: Dnipro, Bucharest, Sofia. Seasonal: Ancona, Antalya, Bodrum, Barcelona, ​​Burgas, Dalaman, Heraklion, Hurghada, Izmir, Lamezia Terme, Larnaca, Pula, Rhodes, Sharm El Sheik, Split, Tivat. Yanair, charter: Barcelona, ​​Hurghada, Sharm El Sheikh. From this link, you can buy your flight to Boryspil Kiev, AT THE LOWEST PRICE! The airport is well connected by public transport to Kiev and the metropolitan area. You can use the convenient, and cheap, buses, taxis or a rental car. Sky Bus is a practical and economic solution to reach Kiev. The bus is active, every day, from morning until late evening, with departures every 15 '. Sky Bus connects Boryspil airport with the central railway station of Kiev Pivdennyi. The bus makes an intermediate stop in Kharkivska, a subway station. The complete journey takes about 45 minutes. The ticket for Pivdennyi, and on the opposite side, costs 100 UAH (about 3.00 €) per person. The ticket from / to Kharkivska, costs 60 UAH (just over € 1.50 per person). Tickets can be purchased at the airport, at bus stations or directly online, on the official website. From the 2015, an efficient Taxi service, active 24 hours on 24, with fixed and pre-set prices, is active from the Boryspil airport. Official taxis have rather advantageous rates, especially if you are traveling in more people. Taxis all depart from outside Terminal D, identifiable by white and yellow numbers. The fare varies, of course, based on the distance. You just have to check it out in advance. For any misunderstanding, or unpleasant misadventure, you will have mail and a dedicated number to answer your complaints! The airport has excellent infrastructure and is well connected to Kiev. At the airport there are many local and international agencies. By booking in advance, from this link, you can rent a car at the best price.